Mediterranean Energy Perspectives 2015 (MEP 2015) provides insights into the past and possible future evolution of mediterranean’s energy situation. MEP is an indispensable source for policy makers, researchers and members of the business community. The Must-Read to be prepared for Paris COP 21 energy issues. 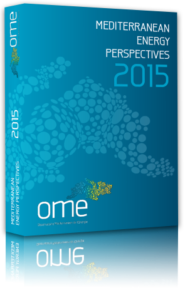 You may order now MEP 2015 with the electronic or Word form below.